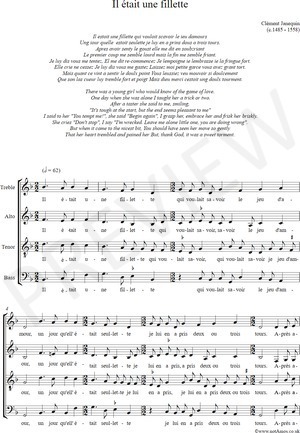 Marriage of the original words with Attaignant's dance book arrangement of the tune. Mais la fin me semble friant". Je luy dis "vous me gastez. Que son las cueur luy tremble fort et poingt. who would know of the game of love. I taught her a trick or two. but the end seems pleasant to me". but, thank God, it was a sweet torment.